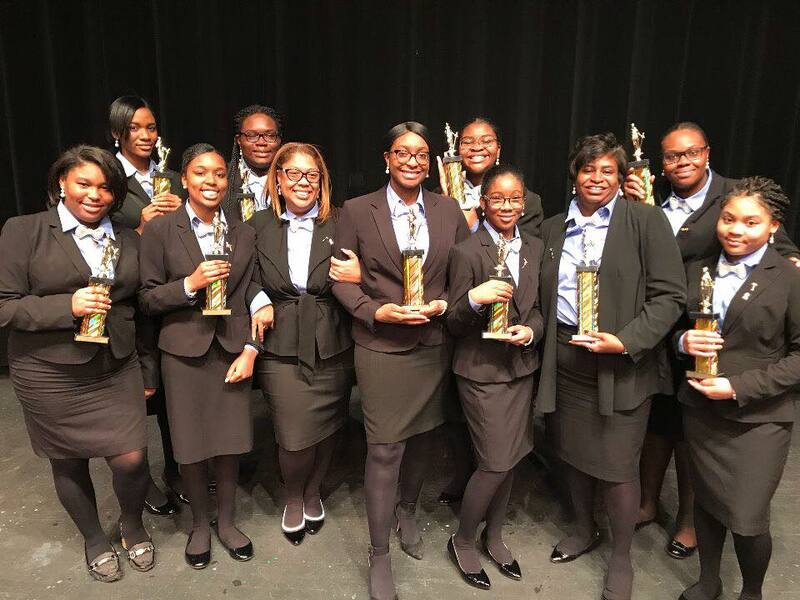 Congratulations to Rich Central High School Mock Trial Team for their victory in the Cook County 6th District Mock Trial Competion held on February 24, 2018. The team was coached by Cook County Public Defender Attorney Supervisor, Connie Jordan. Connie has been a valued member of the Cook County Public Defender's Office since 1991 and is presently assigned to the Multiple Defendant Division. She reports being inspired by the hard work, dedication and talent of the students on her team and wishes to thank their Teacher Coach, Nikki Brunson Dowell. In a mock trial competition, students work to prepare and present a fictitious case as a way of learning trial process and procedure, as well as presentation skills. The students and coaches devote hours of time and compete by performing the trials against other teams. The Circuit Court of Cook County sponsored the competition. To learn how to participate or for more information click here. If you are interested in coaching or participating in High School Mock Trial competitions but are not in the Chicago area, the Illinois State Bar sponsors a program. For more information, click here. Congratulations, again, to the amazing students of Rich Central High School Mock Trial Team and their coaches Connie Jordan and Nikki Brunson Dowell.